Bad credit guarantor loans are provided by a number of lenders to people that have poor credit histories. It could be that you have got into financial difficulty due to being made redundant and have defaulted on a credit card resulting in you getting an adverse credit rating with the credit reference agencies. This may mean that you are finding it difficult to sort out a loan or, if you can, you may feel that the interest rate is extremely high. Guaranteed loans may be another option. What is a bad credit guarantor loan? It is a loan that is taken out in your name but it is guaranteed by someone else because you have an unsatisfactory credit rating. The person acting as your guarantor should have a satisfactory credit history. Who can apply for this type of guaranteed loan? The criteria may differ between lenders. For instance, you may need to be a UK resident, over the age of 18, employed, have a bank account and be able to demonstrate that you can afford the loan repayments. 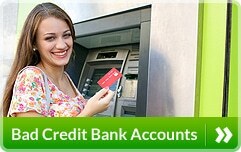 Credit reference searches will be undertaken on both the borrower and guarantor. The fact that the borrower has a poor credit history may not prevent them from being accepted as long as the guarantor has a good credit rating and be able to prove that he or she can meet the loan repayments should the borrower not be able to do so. This may vary between lenders but could be from a few hundred pounds to several thousand pounds. Over how long can you pay the loan back? Again, this may vary between lenders but could be from 1 to 5 years. This may be different between providers of poor credit guarantor loans in the UK so you may wish to compare a number of guarantor loan interest rates. The interest rate is likely to be much higher than what the major banks and building societies charge their creditworthy customers for a loan but may be lower than that charged by lenders that specialise in providing bad credit loans without the involvement of a guarantor. Who can the guarantor be? The criteria may vary between lenders but the bad credit loan guarantor could be the likes of a family member, friend or work colleague. They must have a satisfactory credit history and be able to afford the repayments.They may need to be employed and resident in the UK and between the ages of 21 and 75. 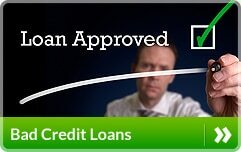 This may vary between lenders but you may be able to apply online/over the phone. The application process will involve both the borrower and guarantor and is usually simple and quick. The borrower is responsible for making the loan repayments but, if the borrower cannot meet a repayment, the lender can ask the guarantor to make it on behalf of the borrower under the terms of the guarantee that has been provided.Repayments are normally made by the likes of direct debit. It could be used for a variety of things such as to consolidate other liabilities on which you are paying a higher rate of interest than with a guarantor loan or it could be used to buy a car. Bad credit guarantor loans may be suitable for people who may be struggling to arrange a loan as they have a poor credit rating. With the support of a guarantor, they may be able to obtain a loan at what they consider to be a reasonable rate of interest. 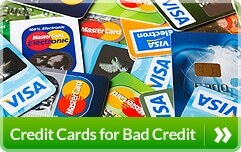 If you are also looking for a credit card due to having a poor credit history or a bank account because your credit rating is bad you may also wish to peruse the appropriate sections of our website.